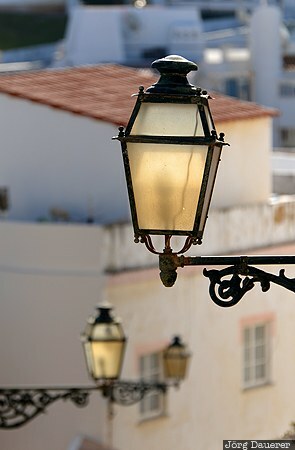 Typical street Lamps in Albufeira in front houses with white facades, windows and red roofs. Albufeira in the Algarve in southern Portugal. This photo was taken in the morning of a sunny day in March of 2011. This photo was taken with a digital camera.